Ed Greenwood is the creator of Forgotten Realms, the fantasy world which has been going strong for 35 years! 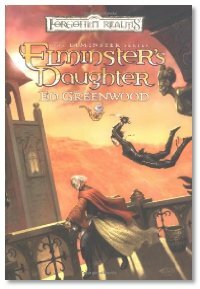 His new novel, Elminster's Daughter, continues on in this series, which has had more writers in it than you can possibly imagine. It was a true pleasure having a legend on the phone with us discussing his latest projects, like yet another new book called The Silent House. Proving that being a raging fan just might get you on the air, long-time listener Mourn Despana from Seattle visited the Science Fiction Museum on opening day and tells us all about it. I smell ROAD TRIP! Spidey 4; good idea or bad?